This is a small domestic overlocker set up for edging fussy fine single layers of fabric. The technique is usually for securing the edges of an open seam. The machine is set up as a 4 thread safety stitch machine and unless you need to economise on thread, do yourself a favour and use the 4 thread option as it is more secure and just as flat as a three threader. The machine is set up with 2 cones of Amann 120# Rasant for the two needle threads and the loopers are set up with 2 cones of Coats GRAMAX which is both slightly stretchy and lays flatter than most twisted cotton thread. The setup is suitable for normal overlocking of light fabrics but it not really strong enough for multiple layers of heavier fabrics. Re: Domestic overlocker set up for edging. I had Gramax on my overlocker. It is indeed nice and stretchy, but I've found it shreds as it runs through the metal guides. Are you using this to secure the edges of single cloth, as in e.g. trouser panels prior to construction? I see you have it set as 3,3,5,5. When I have the loopers on 5, the edges roll rather than stay flat! I think that means that the guides are a little rough and its often from a bit of rust right on the edge of the guide. I touched up one of mine with a round needle file. The settings are probably specific to this small overlocker, it is not strong enough for general purpose work, for that I use a Bernina I have had for years. 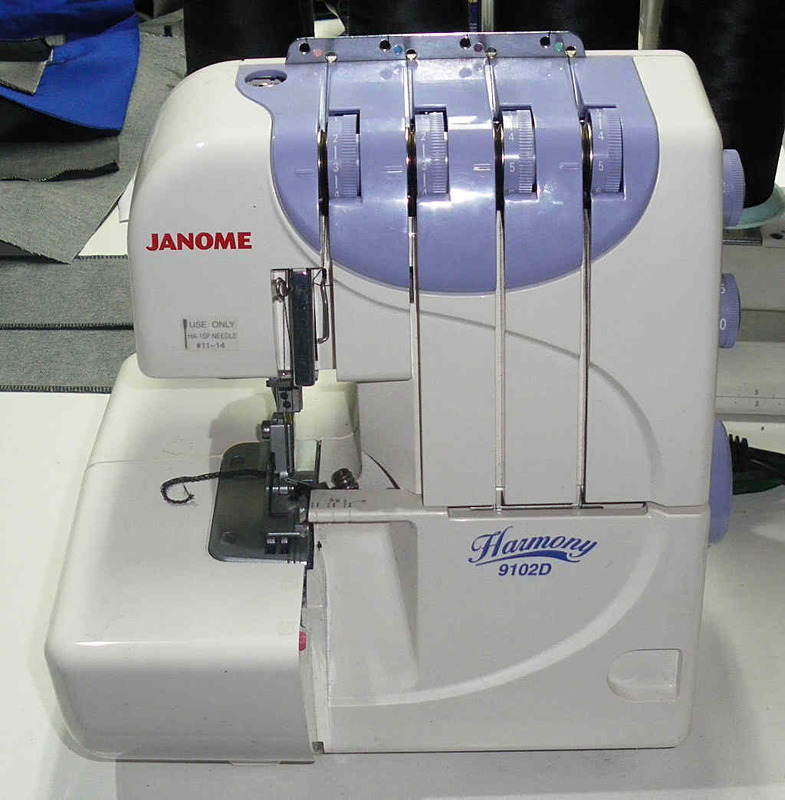 With this Janome I started dropping the needle threads first and found that both should have the same tension, then I adjusted the loopers one at a time to get the outer edge in the right place. I had it shoved away in its box for a year or so but found a use for it edging and overlocking two layers of fine material.